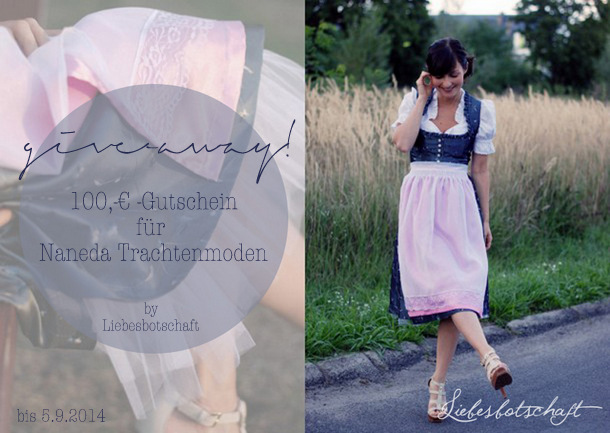 Liebesbotschaft International: Traditional Southern German costume give-away! It’s finally “Dirndl” time again! Whether you are young or old, very slim or curvy – a Dirndl emphasizes what should be emphasized, magically creates perfect proportions, and quite simply is a feast for the eyes. "Dirndl = the ultimate piece of clothing to stress femininity and beauty” and I couldn’t have said it more aptly. Unfortunately there are but a few opportunities to wear such a dream of a traditional dress – which means a new acquisition is not really justified. Why not purchase a new apron or a beautiful blouse and update the Dirndl that way? You can find these at Nanenda Trachtenmode: hand-sewn with a lot of attention to detail, far from mass produceed in a small Bavarian family-run business. 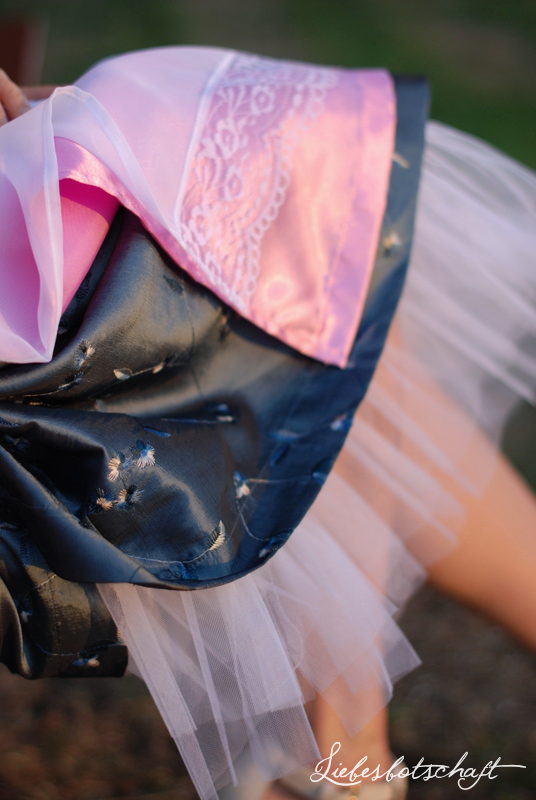 100% commitment is applied to every single piece – just look at the many colorful aprons made of taffeta and satin! With these you will whip up a new look in no time: I simply combined a pink one with this Dirndl to create a cheekier and livelier look. So if you want to look stylish just in time before the annual fairs, you can order it online, stress-free and without having to look for a parking spot – I’m excited to present you Nanenda Trachtenmode today! It’s so much fun to freshen up a Dirndl with a new blouse or re-style it with a colorful apron! Together with Naneda Trachtenmode I am giving away a gift card of 100,-€ today! That’s more than enough for a new blouse and two colorful aprons – mix & match at the Oktoberfest! 1. Tell me what you would use your Nanenda Trachtenmode gift card for. The competition starts now and ends on September 5, 2014.